The Eleventh Circuit uses truisms ,”an undoubted or self-evident truth;” to mislead the reader and the general public. Unpublished decisions play to ignorance owing to the judges total control of the facts and unfettered ability to report and manipulate those facts. This posting will take an unpublished opinion, Eleventh Circuit Case No. 02-13418, and compare it to published opinions of the Eleventh Circuit. This posting will also analyze a case of Judge Donald L. Graham and Magistrate Frank Lynch, Jr., CASE NO. 01-14310-CIV-GRAHAM. See Report and Recommendation,”R&R”, and Order Adopting R&R. This posting will demonstrate how the Eleventh Circuit can take two different cases with the same material facts and reach different outcomes by intentionally omitting material facts in the unpublished opinion. In Pleming v. Universal-Rundle Corp., 142 F.3d 1354 (11th Cir. 1998), U.S. Dist. Judge Marvin H. Shoob, Northern District of Georgia, a part of the Eleventh Circuit, was reversed on appeal for the same set of facts that Judge Graham was affirmed. Judge Shoob was victimized by a published decision while Judge Graham’s actions were saluted with an unpublished opinion. Others Judges in the Eleventh Circuit and particular judges at the Southern District of Florida have suffered reversals in published opinons for the same set of facts that Judge Graham has been affirmed for. Judges Daniel T.K. Hurley ,Ursula Ungaro-Benages, and William P. Dimitrouleas have suffered similar fates. See posts this site, “Eleventh Circuit Uses Same Set of Facts To Reverse One Florida Judge While Affirming Another Florida Judge“, ““Teflon Don” Avoids Reversal While Colleague Judge Ursula Ungaro-Benages Suffers Reversal“, “U.S. Dist. Judge William P. Dimitrouleas Reversed While Colleague Judge Donald L. Graham Affirmed by Killing The Appeal“. This posting documents a type of dishonesty that is breathtaking and antithetical to American values. Additionally, this posting is yet but another example of why Judge Graham is truly the “Teflon Don”. Nothing sticks Judge Graham! A new feature of this blog will be describing conduct that is not considered judicial misconduct in the hopes that the law will change. This posting will demonstrate that federal judges can intentionally misstate or omit material facts with the sole purpose of deceiving and still not be considered guilty of judicial misconduct because it is ““directly related to the merits of a decision or procedural ruling”. Chief Judge J.L. Edmondson, Eleventh Circuit, has specifically held that intentionally misstating material facts is not misconduct. Judicial Misconduct Complaint #05-0020. Enough facts to support the opinion. Relies heavily upon law and scant facts. General statement of facts that support the decision that are not specific to the case. Uses true statements that are misleading. “Res judicata is a doctrine of claim preclusion which operates to prevent litigation of matters that were raised or should have been raised in an earlier suit.” McKINNON v. BLUE CROSS & BLUE SHIELD OF ALA., 935 F.2d 1187 (11th Cir. 1991). The doctrine of collateral estoppel, or issue preclusion, bars relitigation of an issue of fact or law that has been litigated and decided in a prior suit. See McKINNON, above. ” Issue preclusion (Collateral estoppel): Once an issue of fact has been determined in a proceeding between two parties, the parties may not relitigate that issue even in a proceeding on a different cause of action. (Scenario: P sues D on C. P sues D on C1. Element E, which was determined in the first trial, is common to C and C1. At the second trial, P and D cannot attempt to get a different disposition of E.)” Legal Information Institute. [W]e do not believe that the res judicata preclusion of claims that “could have been brought” in earlier litigation includes claims which arise after the original pleading is filed in the earlier litigation. Instead, we believe that, for res judicata purposes, claims that “could have been brought” are claims in existence at the time the original complaint is filed or claims actually asserted by supplemental pleadings or otherwise in the earlier action. Eleventh Circuit Case No. 02-13418, Dist. Ct. Case No. 02-14049. Res judicata bars Mason’s employment discrimination claims against the county. Under res judicata, “a final judgment on the merits bars the parties from re-litigating a cause of action that was or could have been raised in that action. Penalty dismissals under Federal Rule of Civil Procedure 41 (b) are considered to be a final judgment on the merits. In several previous lawsuits, including 99-CV-14027, Mason claimed Highlands County engaged in race discrimination. The district court dismissed 99-CV-14027 under Rule 41(b) because of Mason’s continual disregard for the court’s orders and rules. This court affirmed the Rule 41(b) penalty dismissal of 99-CV-14027 in Mason v. Heartland Library Cooperative, 01-13664 (11th Cir. October 16, 2002). 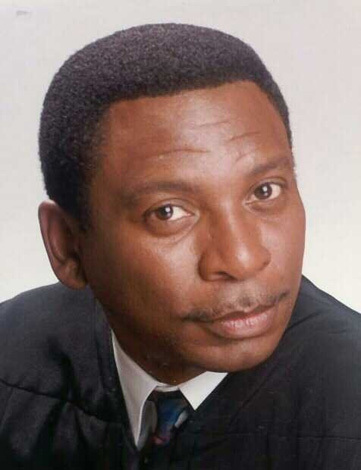 Therefore, because a final judgment on the merits has been previously rendered on his race discrimination claims against Highlands County, res judicata bars Mason’s re-assertion of those claims. Pleming’s first lawsuit claimed that Universal-Rundle discriminated against her when the company hired a less qualified white employee for a specific clerical position in July 1993. Pleming did not learn that the company had engaged in alleged further discrimination against her by filling two subsequent administrative openings in October 1994 without considering her, until May 1995, during the conduct of discovery in the first lawsuit. Pleming’s first complaint, therefore, contained no mention of these subsequent hiring decisions and Pleming did not amend her complaint to include them. This Court notes that the factual allegations on which the Plaintiff bases his federal law claims stem from his initial termination of employment. For example, the Plaintiff alleges that Highlands County’s refusal to re-hire him was an act of retaliation and/or an act of discrimination. In support of these allegations, the Plaintiff makes reference to Highlands County’s alleged discriminatory behavior around the time of his prior employment and termination. Indeed, the underlying termination is fundamental to the Plaintiff’s civil rights claims. This is especially so in light of the fact that the Defendants raise his discharge for wrongful conduct and the disciplinary action of permanent removal as a non-discriminatory, legitimate ground for the refusal to re-hire. The issue of whether the termination was lawful has already been litigated in this court, and such claims were dismissed with prejudice with the right to appeal. Therefore, the federal claims raised in the instant case are barred by the doctrine of res judicata for arising from the same nucleus of operative facts and relying on the same factual predicate of the prior litigation. The principle of res judicata also leads to a sensible result in light of the Plaintiff’s legal arguments. After one’s prior termination has been decided in the employer’s favor, it is convoluted logic to argue that the employer’s refusal to re-hire the former worker was the result of unlawful discrimination. To rule otherwise would render meaningless any judicial finding of lawful discharge. Certainly, the protections afforded under Title VII are not meant to enable unappeased litigants to bring recurrent litigation against former employers. See Report and Recommendation, (DE #79). If you read this opinion not knowing the omitted and material facts, res judicata is definitely properly applied. This is the danger of allowing judges to write opinions without public scrutiny. Additionally, Judge Graham’s Magistrate, Frank Lynch, Jr. goes beyond truisms and actually lies or does he? A “judicial finding of lawful discharge” was not made in the former case, 99-14027. Judge Graham’s decision necessarily leads to an absurd result in that Mason could apply for a job today and Highlands County could discriminate against Mason and Mason would be without a remedy due to “res judicata”. Thanks to Judge Graham, Highlands County is not subject to the Discrimination laws of the United States. Here again Judge Graham has substituted his wisdom for Congress.